We have a full schedule of performances planned for the Festival this year. You'll enjoy music from the International School, the Tibetian Children's Choir, LUA Mexilachian Music and Beyond, and The Blue Ridge Irish Music School along with dances performances from Hiromi Johnson, Burma, Afghan, Bhutan, Native American, Punjabi, India, Mexico, Congolese, and Columbia. Bring your family and friends for a FREE afternoon of fun, music, and entertainment. 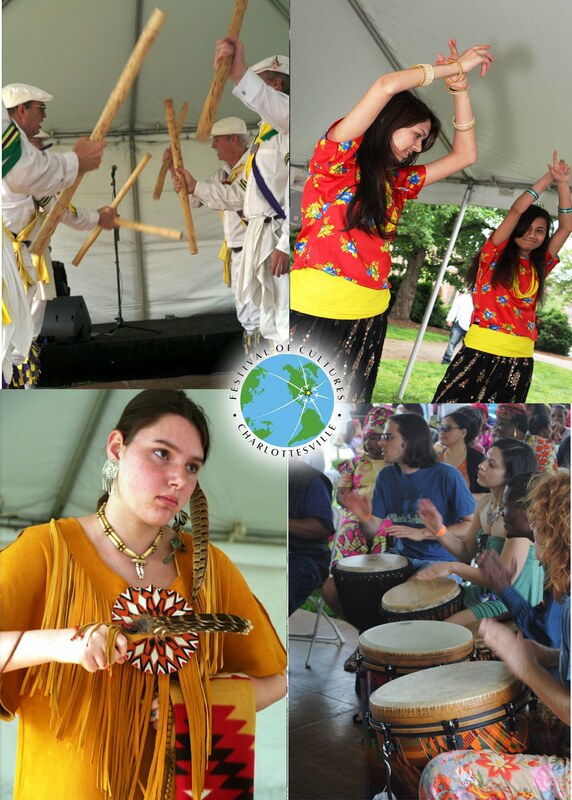 There will be International Foods, Crafts for the Kids, and a Drum workshop--not to be missed.